Award-winning Korean actor Jung Jaeyong, known for his great versatility as a performer, has acted in feature films for twenty five years and has more than thirty films to his name. In 2004 he won Best Supporting Actor at Korea’s Blue Dragon Awards and the Korean Film Awards for Silmido. Recent credits include the award-winning mystery Moss (2010) directed by Kang Woo-suk and Lee Hae-jun’s Castaway on the Moon (2009). 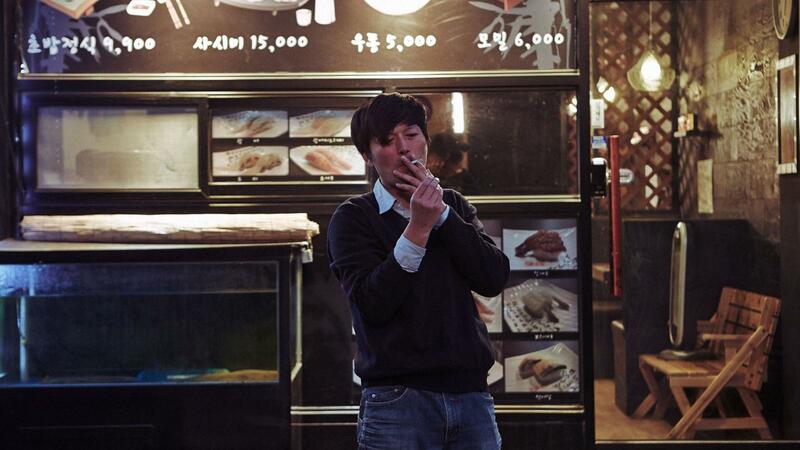 In 2013 he starred in hit film Our Sunhi (2013), written and directed by Korean auteur Hong Sang-soo. For his second collaboration with Hong, Right Now, Wrong Then, he won the Best Actor Award at the 2015 Locarno International Film Festival.